New guidelines turning conventional wisdom on its head may help prevent life-threatening peanut allergies in future generations of children. The guidelines from the National Institute of Allergy and Infectious Diseases (NIAID), published today, call for introducing peanuts early into the diets of infants in order to reduce the risk they will go on to develop that allergy. According to a 2013 study from the Centers for Disease Control and Prevention, food allergies among children increased approximately 50 percent between 1997 and 2011. The prevalence of peanut allergies specifically rose more than three-fold to 1.4 percent of children in 2010, from 0.4 percent in 1997, according to a study from the Mount Sinai School of Medicine. The advocacy group Food Allergy Research and Education (FARE) says food allergies result in 200,000 emergency room visits each year. Outside of the hospital, food allergies are the leading cause of anaphylaxis, a potentially life-threatening reaction that disrupts breathing and causes a sudden drop in blood pressure. “Peanut allergy can be fatal, is usually lifelong and has no cure. Considering a dramatic increase in prevalence of peanut allergy over the past decades, affecting estimated 1-2 percent of infants and young children in the U.S., there is a dire need for prevention,” said Dr. Anna Nowak-Wegrzyn, an associate professor of pediatrics at Icahn School of Medicine at Mount Sinai and a researcher at the Elliot and Roslyn Jaffe Food Allergy Institute. The new guidelines define high, moderate and low-risk infants for developing peanut allergy, and how to proceed with introduction based on that risk. An infant is considered high risk of developing peanut allergy if they also have severe eczema and/or an egg allergy. These children should be introduced to peanut-containing foods as early as age 4-6 months if they have already started solid foods, after consulting with a specialist to determine if it is safe to do so. Having a peanut sensitivity doesn’t mean an infant has a peanut allergy, the authors stress. In fact, a recent study confirmed, “infants sensitized to peanuts showed the most benefit from early introduction of peanut-containing foods,” Greenhawt said. Infants with a positive peanut skin test have small amounts of peanut fed to them the first time in the specialist’s office. From there, the family can decide with their doctor whether to proceed with giving the child peanut products or to completely avoid them. Children considered moderate risk – those with mild to moderate eczema who have already started solid foods – do not need an evaluation, the recommendations state. These infants can have peanut-containing foods introduced at home by their parents starting around 6 months of age. Parents should consult with their child’s pediatrician if they have any questions about how to proceed. Children with no eczema or egg allergy are considered low risk and can be introduced to peanut-containing foods according to the family’s preference, also around 6 months. 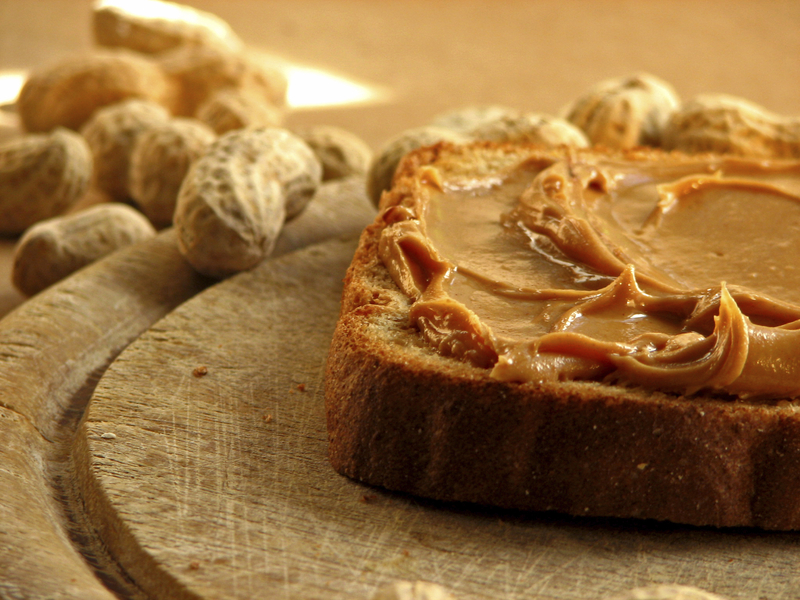 The new guidelines are based off the Learning Early About Peanut Allergy (LEAP) study, first published in 2015 and considered to be groundbreaking by the medical community. Prior to that study, allergists recommended that young infants avoid consuming peanuts to prevent allergies. But the results of the LEAP study showed that early introduction of peanuts dramatically decreased the risk of developing a peanut allergy by 70 to 80 percent. Nowak-Wegrzyn acknowledges that the new method may be anxiety-producing for worried parents, but emphasizes that it will play a key role in prevention.